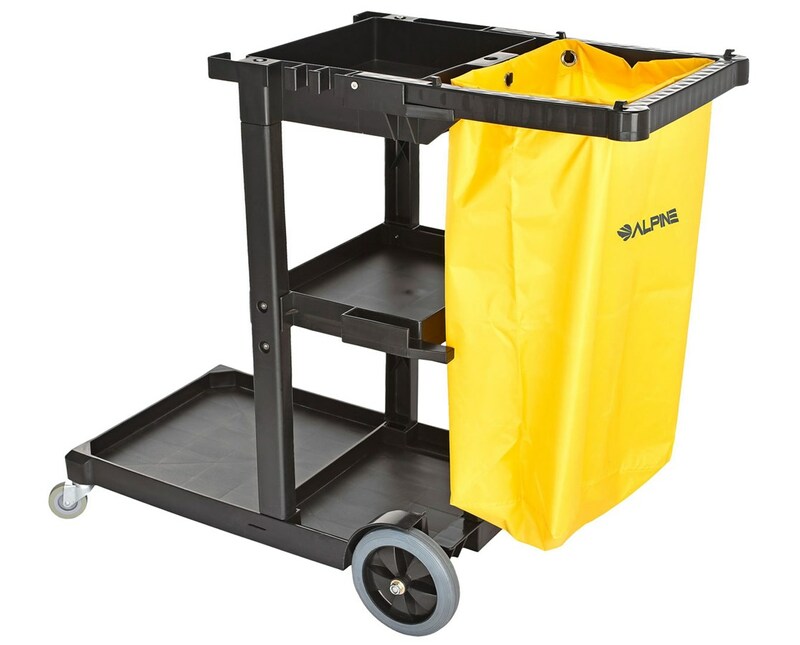 The Alpine Janitorial Cleaning Cart with 3 Shelves provides a convenient way to transport all cleaning supplies from one area to another. Featuring three sturdy shelves, a mop, and broom holder, it enables cleaning professionals to keep and retrieve cleaning supplies easily. 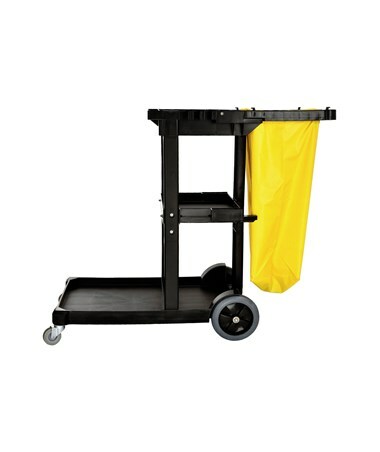 This janitorial cart also has a yellow Oxford vinyl bag that can carry linen up to 18.5 gallons. 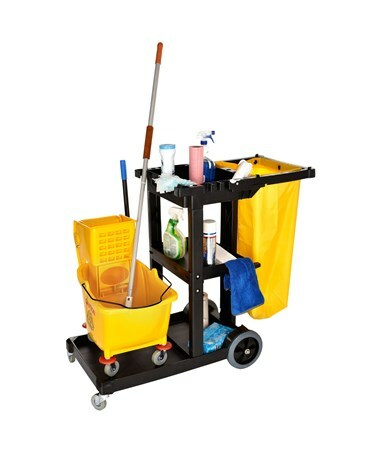 This Alpine cleaning cart consists of a spacious front platform that can generously hold an additional trashcan, mop bucket/wringer, or a large cleaning caddy. 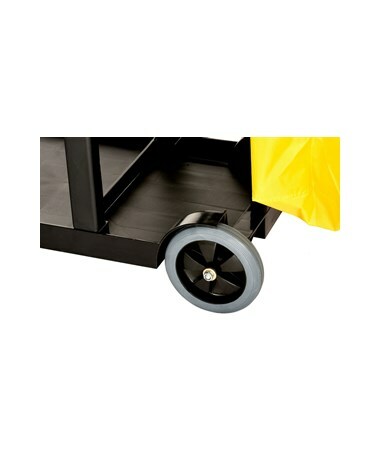 It has non-marking wheels and a folding handle to easily use and store the cart without causing any surface damage. 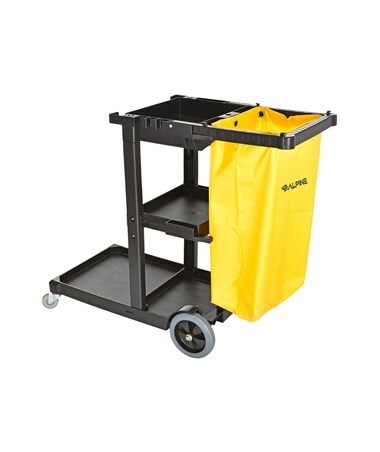 Weighing only 27.84 pounds, this janitorial cleaning cart has a size of 47.63" H x 18.89" W x 39.17" D and is made of plastic, PVC, and metal material for durability.